Learn to predict, assess and develop emotional intelligence with the only abilities-based EI tool. The Mayer-Salovey-Caruso Emotional Intelligence Test (MSCEIT) provides unprecedented insights about people’s real emotional intelligence abilities to help you predict and enhance their success and improve business outcomes. MSCEIT is designed to measure and develop people’s ability to recognise, understand and manage emotions in themselves and others so they can use emotions more intelligently. These abilities enable people to monitor their own and others’ emotions, and use this information strategically and intelligently to communicate more effectively, increase personal resilience and productivity, and achieve goals. Becoming a MSCEIT practitioner enables you to accurately assess and develop people’s emotional intelligence abilities. It equips you with the knowledge, experience and expertise to understand, interpret and debrief the MSCEIT Profile and a thorough grounding in how to apply it. This advanced training explores the science of emotional intelligence and provides you with a range of emotional mastery tools to further develop these abilities in yourself and others. It also enables you to significantly increase the overall effectiveness of your leadership, training, recruitment and talent selection initiatives. Coaches, consultants, organisational psychologists, HR professionals and recruitment specialists who want to assess and/or develop people’s emotional intelligence and intra-personal and interpersonal skills. A comprehensive training manual and practitioner tools. MSCEIT Accreditation is accredited by the International Coach Federation for 12 CCEUs (10 Core Competencies, 12 Resource Development) toward ongoing professional development for ICF ACC-level coaches and higher. The only abilities-based emotional intelligence test, MSCEIT is a powerful, scientifically validated tool for taking a direct, unmediated measure of this fundamental capacity.Developed by Peter Salovey, Jack Mayer and David Caruso, originators in the field of emotional intelligence, MSCEIT is like an IQ test for emotional reasoning. As people tend to assess their own EI or others’ inaccurately, this tool delivers accurate, challenging and useful feedback people can use to develop greater awareness and systematically fine-tune their emotional intelligence skills, personal and professional effectiveness. Group discounts: Get 10% off the full fee when 2 or more register, save $355 per person. Sue Langley is a keynote speaker, global consultant and positive leadership expert. 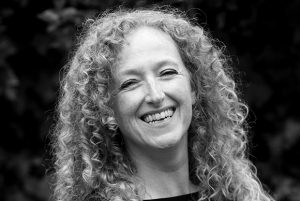 Sue specialises in the practical applications of neuroscience, emotional intelligence and positive psychology, synthesising the science and research into simple, practical tools that anyone can use.